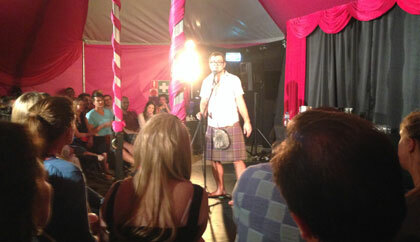 One of the more unusual shows at the Perth Fringe Festival this year was a Scottish comedian who did a whisky tasting stage show. Ali, Dave, Malcolm, Jamie and Gary attended the performance, which included tastings, facts about whisky history and distillation, plus hilarious audience participation. The comedian took one look at the Perth Highland boys and asked “Are you lot an aging boy band?” to which Ali replied that we actually were a pipe band! 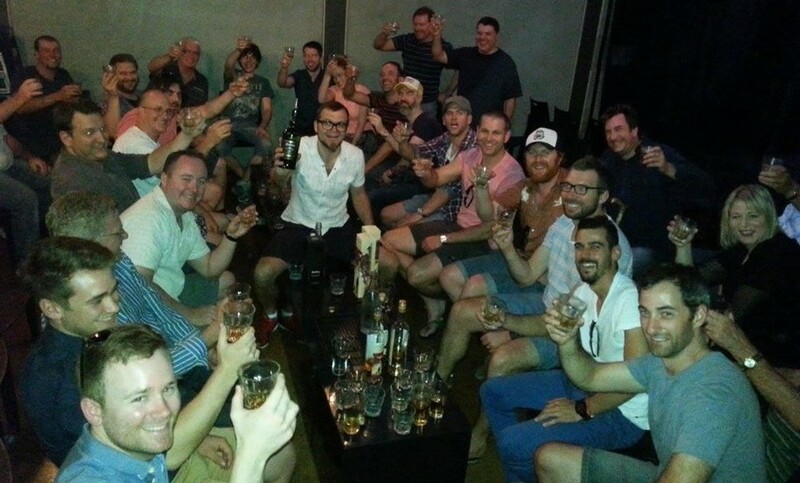 After over three years touring his show Whisky for Dafties (Dummies), Scottish comedian and whisk(e)y enthusiast Alan Anderson is back with the next lesson on the world of distilled malts and grains. 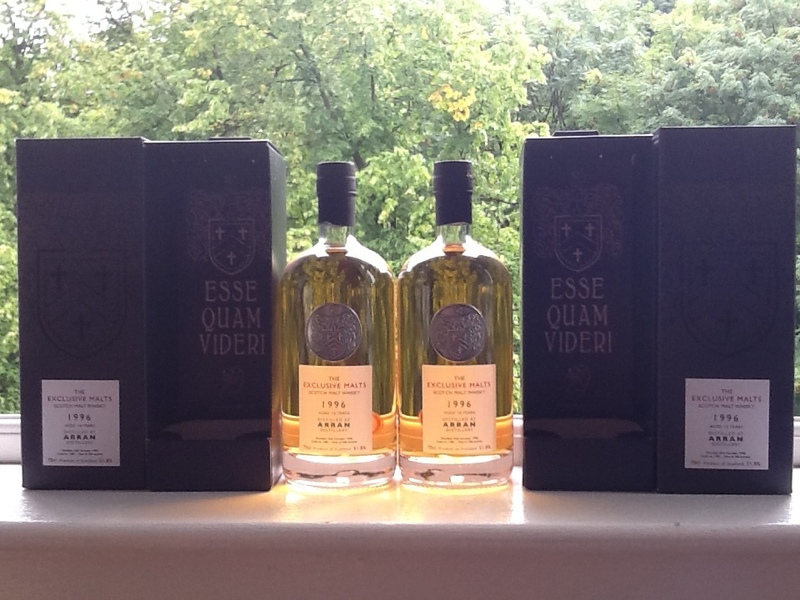 The hour sees the comedian introduce the intimate assembly to four differing drams of whisk(e)y, noting the difference and encouraging audience members to share their opinions. 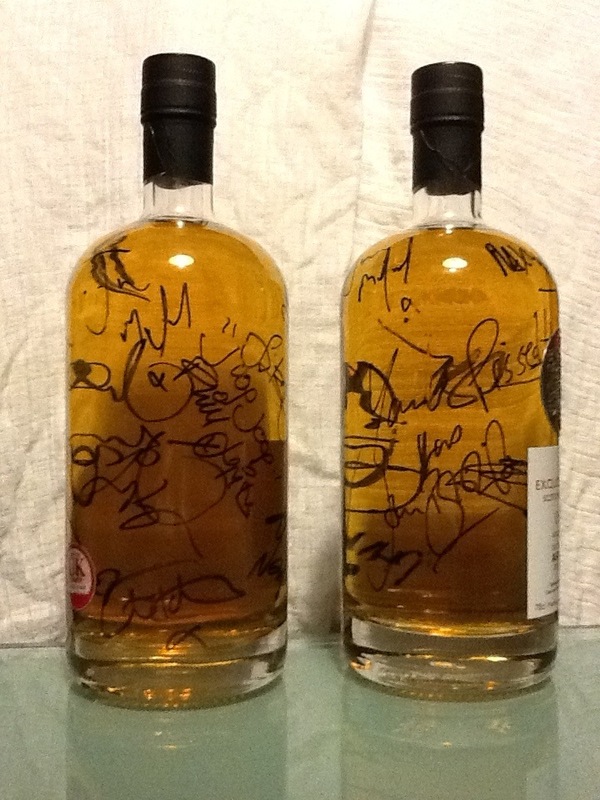 Last night at a very special Edinburgh Fringe FullMooners benefit gig, the acts all signed 2 bottles of limited Edition Single Cask 16 year old Arran Single Malt Scotch Whisky which we will be auctioning off later in the year during the Glasgow Whisky Festival. John Bishop, Stephen K Amos, Phill Jupitus, Jason Byrne, Jason Manford, Ed Byrne, Brendon Burns, Phil Nichol, The Pyjama Men, Glen Wool, Terry Alderton, Andrew Maxwell, Sir Tim Fitzhigham and Lady Carol all performed in a benefit for Comedy Director Paul Byrne who, at the start of the Fringe, was diagnosed with Hodgkins Lymphoma. 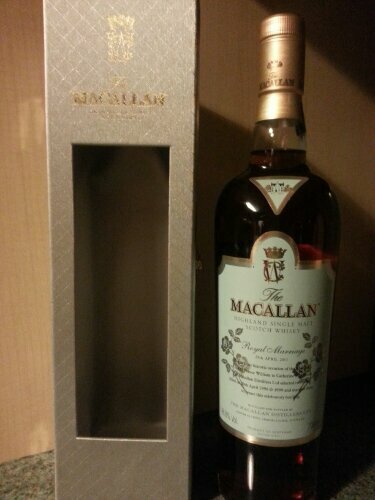 Big thanks to the guys at Glasgow’s Good Spirits Co and The Creative Whisky Co for supplying the malt. Details on the auction to follow.